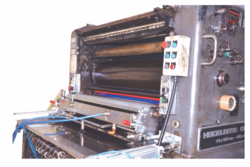 Pioneers in the industry, we offer anilox coating module, anilox coating attachment for dominant, anilox coating machine, anilox coater system, uv coating attachment and anilox roller from India. We are the leading suppliers of Anilox Coating Module. Clients can avail it at best market prices. We provide high-quality products to our clients. We are the leading suppliers of Anilox Coating Attachment for Dominant. The clients can avail it at best market prices. 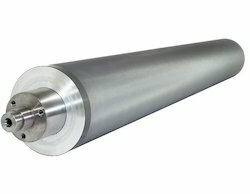 High-Quality Anilox Roller for Accurate and smooth Transfer of UV Varnish. High-Quality Spur Gear. (Material-Matlon) for noiseless operation. Least Power Consumption for coating Unit (0.75KW). High-Quality Guide and Block for Smooth Movement of Unit. All bearing Used (Make-SKF) CE Certified Company for Trouble Free Operation. We are the leading suppliers of Anilox Coating Machine. Clients can avail it at best market prices. It is used for UV, Aqueous varnish, Primer coat. 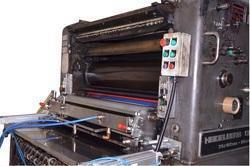 We are manufacturing best quality Anilox Coater System. 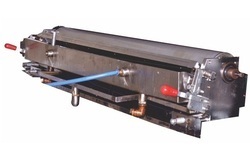 High-Quality Anilox Roller for Accurate and smooth Transfer of UV/ Aquas Varnish. Servo motor 1HP (MAKE-Panasonic) and Servo Drive (MAKE- Panasonic) for quick Speed match with the machine. Encoder and PLC (Make –Delta) based on auto synchronized with machine speed. High-Quality Spur Gear (Material-Matlon) for noiseless operation. High-Quality Rubber Roller for UV Coating and Aquas coating. We are offering UV Coating Attachment to our clients. High-Quality Anilox Roller (3GSM/4GSM) for Accurate and smooth Transfer of UV/ Aquas Varnish. Servo motor 1HP (MAKE-DELTA) and Servo Drive (MAKE- DELTA) for quick Speed match with the machine. We are offering Anilox Roller to our clients. We provide high-quality products to our clients. If you require any type anilox for coating n printing contact us.